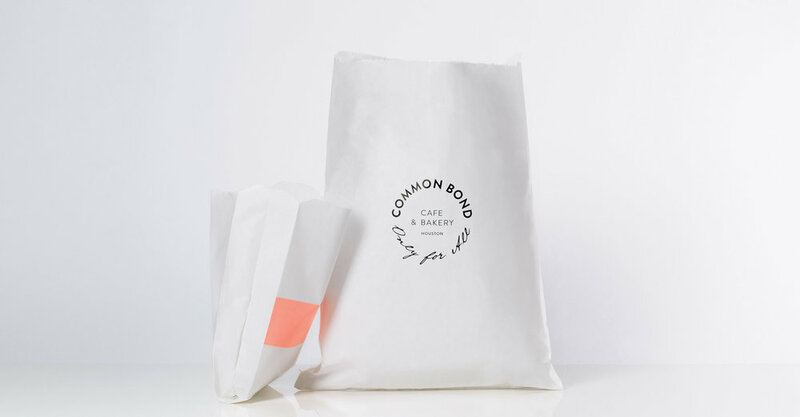 COMMON BOND | CREATIVE RETAIL PACKAGING, INC.
Common Bond is a local café and bakery in Houston that believes in making world-class cuisine accessible to everyone. 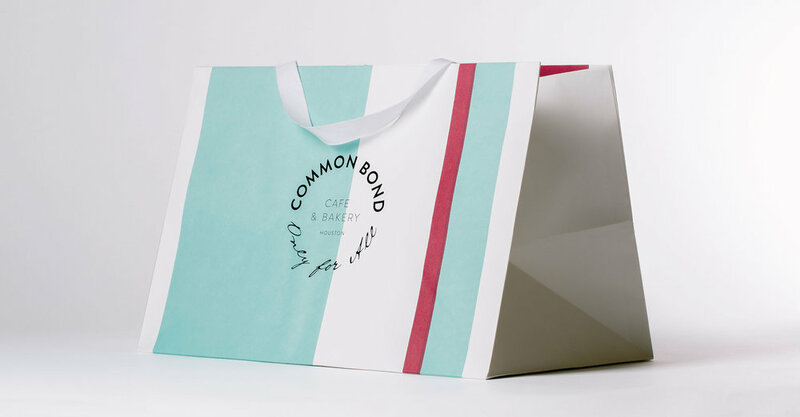 Their beautifully designed branding exemplifies the passion they pour into everything they touch, “served generously with a smile.” Common Bond had hit the ground running with the launch of their restaurant, and had packaging for any situation. 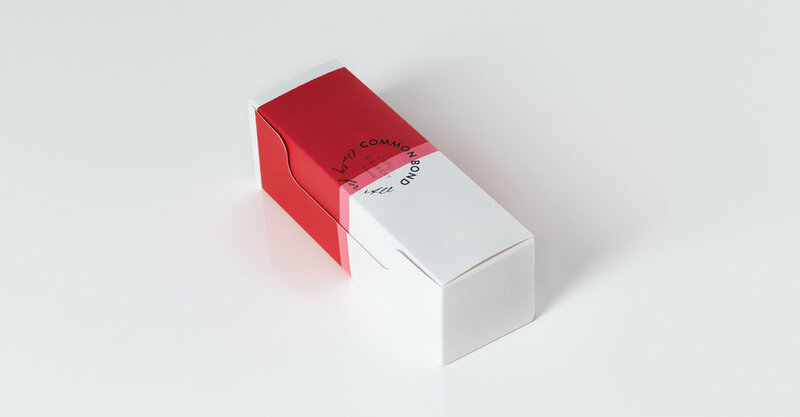 However, as they found, over-packaging can sometimes create problems in terms of every day and practical use. CRP assisted them by providing a complete audit of the bakery’s packaging program. 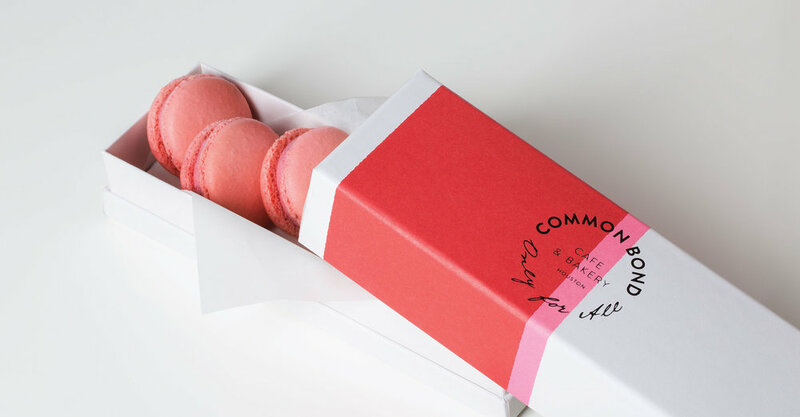 With a keen eye, the team was able to identify what types of packaging were best suited for every day demands and which types could be consolidated into one piece to accommodate several products and situations of purchase. Along the way, CRP made improvements to pieces while also overseeing the quality of printing to ensure the transition would be flawless. 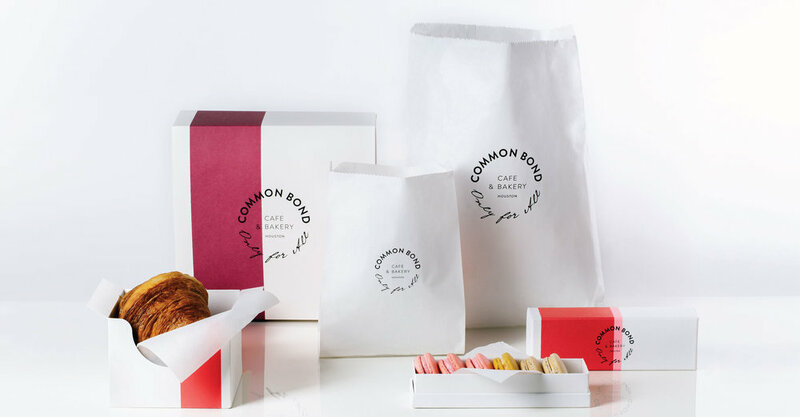 In the end, the new bakery saved money on reorders by consolidating the variety and improving the functionality of their bakery boxes and bags.